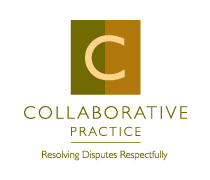 Books - Collaborative Family Law Group of NE FL - Collaborative Divorce, a better way Collaborative Family Law Group of Northeast Florida, Inc. Some helpful books on the collaborative process are listed below. Jeremy S. Gaies, Psy.D. and James B. Morris, Jr., Ph.D.
Post-Divorce Parenting: Success Strategies for Doing it Right! What About the Kids? Raising Your Children Before, During, and After Divorce. The information on our site is not intended to provide specific legal advice nor the formation of an attorney-client relationship. It is purely educational. Visitors to this site should not rely on any information contained on this site regarding their specific legal situation and should consult with a qualified attorney. © Copyright 2015 Collaborative Family Law Group of Northeast Florida, Inc. All Rights Reserved.